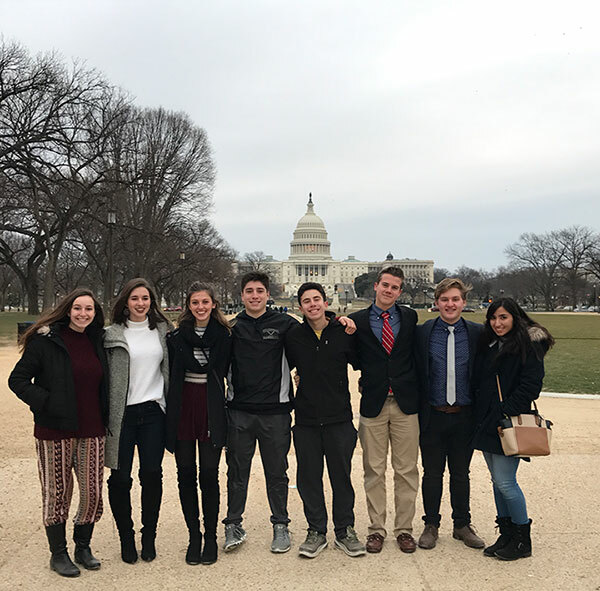 Members of the Student Senate at WVHS joined thousands of other student leaders at a Leadership Experience and Development (LEAD) Conference in Washington, D.C., on Feb. 3-5. 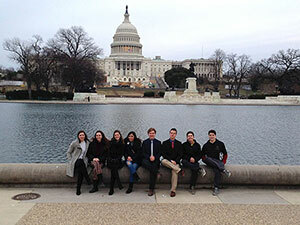 Student Senate members Jack Schenkman, Jack Vignola, Patrick Sliter, Dan Bilezikian, Ava Ghobadian, Sophia Sakellariou, Olivia O’Connor and Bella Jardine recently attended the LEAD Conference in Washington, D.C.
LEAD Conferences offer experiential leadership skills development to students and advisors, and are a program of the National Association of Secondary School Principals (NASSP), which also administers the National Honor Society, National Junior Honor Society, and National Association of Student Councils. Warwick students attended workshops on improving leadership skills, problem solving, project planning, fundraising, team building, idea-sharing and networking. 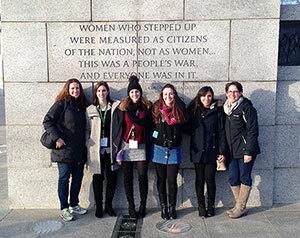 The students were accompanied by Holly Marcolina, high school Social Studies teacher and Youth In Government advisor, and Lynn Price, math teacher and National Honor Society advisor at the high school. “The LEAD Conferences offer talented young people from across the country the opportunity to sharpen their leadership skills in order to make a difference in their schools and communities,” said JoAnn Bartoletti, executive director of NASSP.